Get a PDF version of this infographic below. 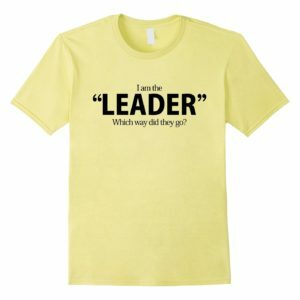 I’ve written extensively about developing youth leadership but this article focuses on how our youth leaders are selected. Before we delve into specifics let’s agree that there’s a danger of losing the distinction between suggestions, rules and regulations, and mandated practices. Any “how to” instructions should be built on understanding of the ”‘why” behind the “how”. When it comes to selecting youth leaders most of us perpetuate inherited practices, or draw conclusions based on assumptions. We ought to do our homework, and take direction from very clear statements in the resources provided to us. I reference specific BSA publications below, but I’d imagine the advice and direction they contain would find application in nearly any Scouting organization. How is Youth Leadership Organized? A Boy Scout troop is a small democracy. With the Scoutmaster’s direction, the boys are formed into patrols, plan the troop’s program, and make it a reality. In order for that to happen, a troop relies upon Scouts serving in positions of responsibility. The key boy leaders of the troop make up the patrol leaders’ ­council. They are the senior patrol leader, assistant ­senior patrol leader, patrol leaders, and troop guides of any new-Scout patrols. I’ve written about forming patrols and working with the patrol leader’s council elsewhere. The important statement here is “A Boy Scout troop is a small democracy”. Let’s examine exactly how this small democracy functions. 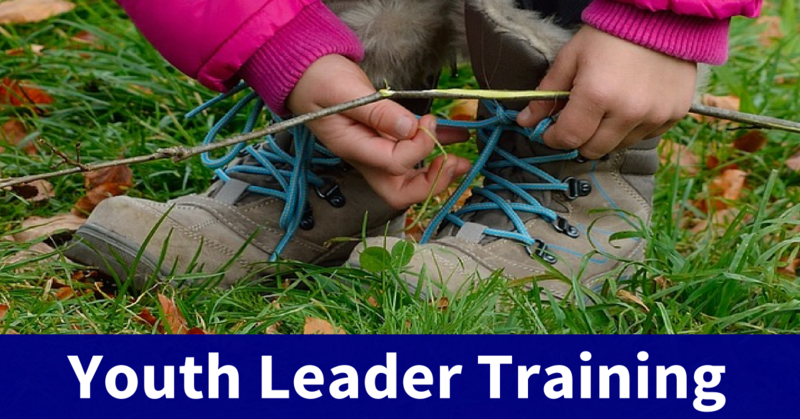 The youth leader with the most responsibility in a troop is the senior patrol leader. He is elected by all members of the troop. With the approval of the Scoutmaster, the assistant senior patrol leader is appointed by the senior patrol leader. One patrol leader is elected by the members of each patrol. … the senior patrol leader selects the Scout who will hold each position. Depending on the size and needs of a patrol, any or all of the ­following positions may be filled; assistant patrol leader, patrol scribe, patrol quartermaster, patrol grubmaster, patrol cheermaster. 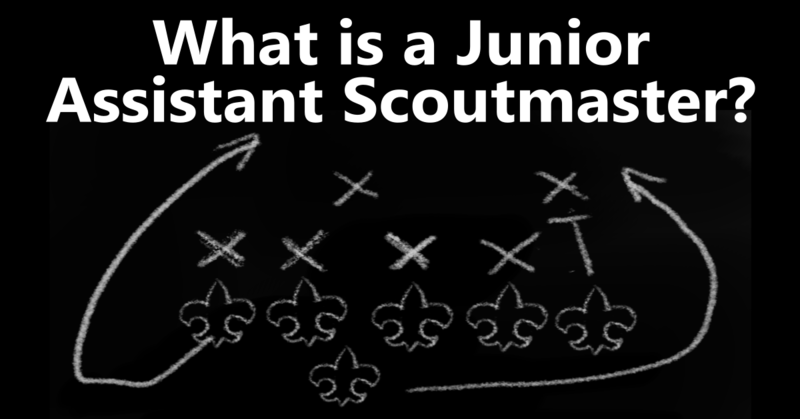 With guidance from his Scoutmaster, it is up to the patrol leader to select a Scout for each position. For some reason despite these clear directions the distinction between elected and appointed positions has been blurred and in some troops elections are held for all positions. Think about our own representational system of government, we don’t elect positions like the chairman of the joint chiefs of staff, or the secretary of education; they are appointed. Appointees go through an approval process by our elected representatives. Those positions are not elected because they are based on the skills and experience of the appointees rather than political popularity. For the same reason in a Scout troop the only elected positions are, senior patrol leader, Venture patrol leader, and patrol leader, and the remainder are appointed. This isn’t my opinion, or an optional approach; as you can see it’s very plainly laid out in Scoutmaster’s Handbook. How Are Senior Patrol Leaders Elected? Each troop sets its own requirements and schedule of elections, though senior patrol leaders are usually chosen at six- to 12-month intervals and can be re elected. What considerations go into determining what requirements a troop sets for candidates for senior patrol leader? The senior patrol leader of an established troop is often selected from among experienced Scouts of a certain age and rank. In a new troop or a troop without older members, boys are still likely to choose a Scout whom they respect and believe will provide the best leadership. Age and rank requirements may be a consideration, but I’d advise having as few requirements as possible. Setting up elaborate systems of requirements can be a way adults coerce Scouts or try to game the outcome of an election. Adults becoming overly involved in what should be a simple process are typically based on the concern that elections will be “popularity contests” and result in poor choices. In short, they don’t think their Scouts will act responsibility to elect good leaders. I reply that the outcome of any open, truly democratic, election will be based (at least in part) on the candidates popularity. If our Scouts are going to enter adulthood understanding the import of selecting leaders based on their abilities rather than their popularity shouldn’t they get some practice in doing so? Troop leadership elections are a great opportunity to discuss and work through these issues. Involving the patrol leader’s council in setting requirements (if any) for candidacy is another way to engage them in the active leadership or their troop. What about the mechanics of the senior patrol leader election? The patrol leaders’ council might offer an opportunity for those in the running to make short presentations to the troop, explaining their qualifications and reasons for seeking the office. This provides good practice for the candidates and enables those who do not know them well, younger Scouts in particular, to gain a better sense of what they propose to do for the troop. Some troops have what I’d consider overly elaborate sets of requirements and procedures for elections involving nominations, applications and other needless complications not found in the Scoutmaster’s Handbook (or any other resource). If these kinds of things were useful in achieving our aims you’d think the Scoutmaster’s Handbook would at least suggest them. Any wise Scoutmaster will engage the patrol leader’s council in running elections with no adult involvement other than, perhaps, counting the ballots. How Are Patrol Leaders Elected? The members of each patrol elect one of their own to serve as their patrol leader. The troop determines the requirements, if any, for patrol leaders, such as rank and age. Most troops select patrol leaders and other boy leaders twice a year, though a troop might want to hold elections more frequently in order to allow more boys the chance to lead, particularly in the new Scout patrols. Remind Scouts that patrol elections are not popularity contests, but that they do present patrol members with the responsibility of selecting someone who will be a good leader. Once a patrol has decided, give each new patrol leader all the support and guidance you can. Even a boy who at first seems an unlikely choice might develop quickly into an effective leader. How are Other Positions Appointed? 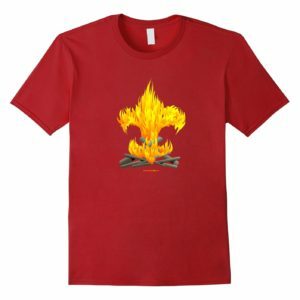 Among his specific responsibilities are training and providing direction for the troop quartermaster, scribe, Order of the Arrow troop representative, historian, librarian, and instructors. During his tenure as assistant senior patrol leader, the Scout is not a member of a patrol. Large troops may have more than one assistant senior patrol leader. Depending upon the size and needs of a troop, any or all of these positions may be filled. Unless otherwise indicated, the senior patrol leader selects the Scout who will hold each position. The Scoutmaster can help the senior patrol leader make his decisions on the basis of candidates’ overall qualifications rather than merely on friendships. Scouts serving in any of the following troop positions will also continue to be active members of their patrols. When the SPL appoints these positions he ought to be thinking about having as many individuals involved in positions of responsibility as possible, and suiting those appointees to the job. 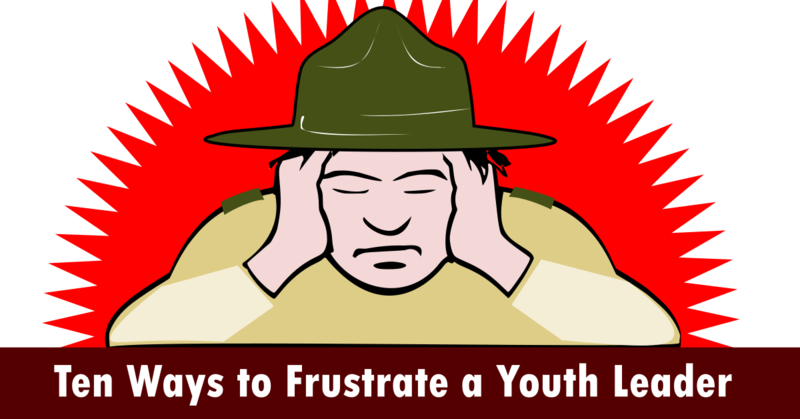 These appointments can made with the Scoutmaster’s help, but their approval or guidence may not be required. We’ve all grown used to speaking of ‘leadership” positions, but rank requirements group all youth positions under a more appropriate title “positions of responsibility”. 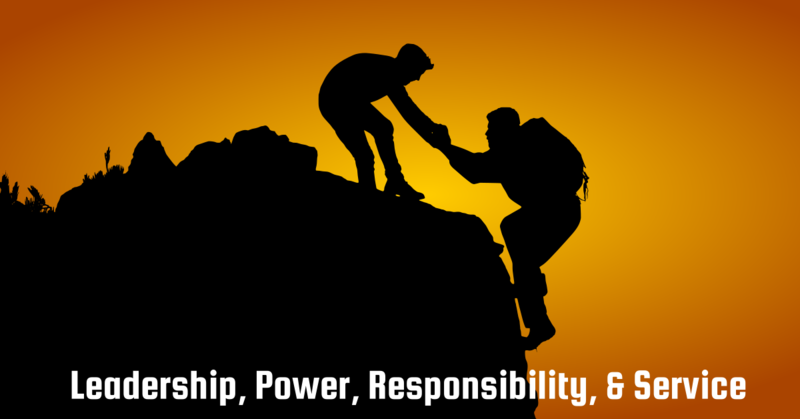 Many suggest this requirement should call for a position of “leadership” rather than simply of “responsibility.” Taking and accepting responsibility, however, is a key foundation for leadership. One cannot lead effectively without it. The requirement as written recognizes the different personalities, talents, and skill sets in all of us. Some seem destined to be “the leader of the group.” Others provide quality support and strong examples behind the scenes. Without the latter, the leaders in charge have little chance for success. Thus, the work of the supporters becomes part of the overall leadership effort. We should work with Scouts taking on a position of responsibility to define expectations, and frequently assess the progress they are making in meeting those expectations. Section 4.2.3.4 of the Guide to Advancement 2013 explains, in great detail, establishing expectations and how those expectations are weighed in fulfilling rank requirements. 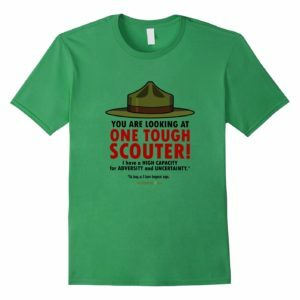 Scouters are often faced with a number of Scouts who need a position to fulfill a rank requirement. The first reaction is often trying to find an open position for the Scout to fill rather than focusing on the Scout’s individual interests. Rather than fitting the Scout to the position how about fitting the position to the Scout? The Scoutmaster’s Handbook gives a job description that suggests responsibilities and ways a position may be defined as a starting point. For example the position of historian is described as a Scout who collects and preserves troop photographs, news stories, trophies, flags, scrapbooks, awards, and other memorabilia. 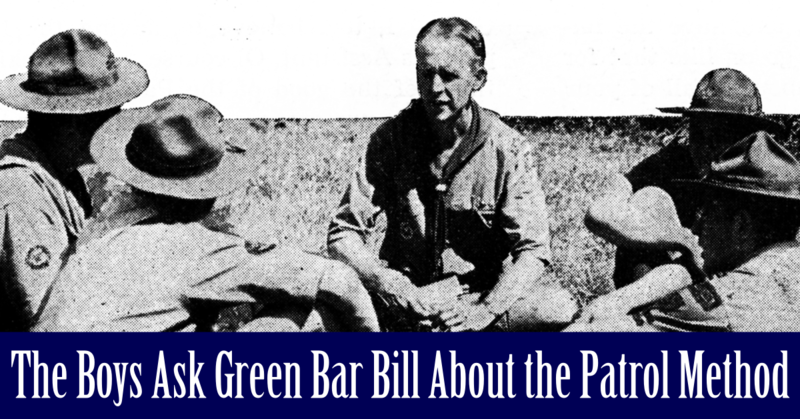 He might also collect and organize information about former Scouts and leaders and make materials available for Scouting activities, media contacts, and troop history projects. There’s nothing in this description that suggests each and every element mentioned mentioned must be part of the position. Indeed, the description suggests things a historian may do. A Scout unsure of what he’d like to take on as a position of responsibility and enjoys photography could become a historian and create photo collections of activities, perhaps a Scout interested in Scrap-booking could create a troop Scrapbook, or a Scout who likes to write could create articles for the troop website and submit them to local newspapers. On the other hand if we are approached by a Scout who needs a position and we attempt to slot him into the historian job, despite he has little interest or ability in it, we are create a number of problems rather than solving one. 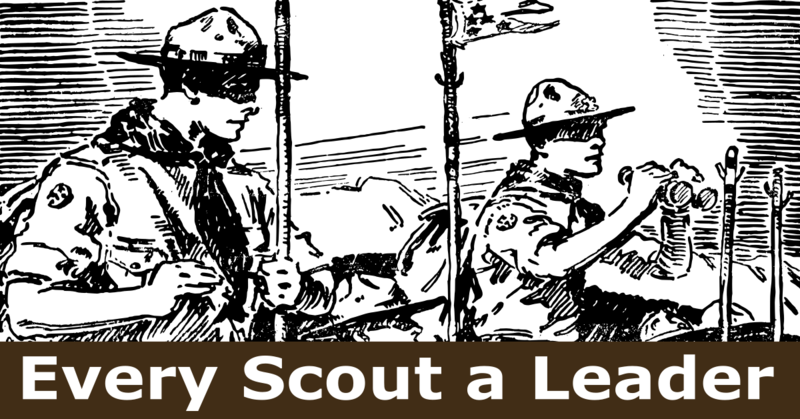 If there is no specific position that corresponds to the Scout’s interests or abilities consider defining a Scoutmaster-assigned leadership project. For Star and Life ranks only, a unit leader may assign, as a substitute for the position of responsibility, a leadership project that helps the unit. If this is done, he or she should consult the unit committee and unit advancement coordinator to arrive at suitable standards. 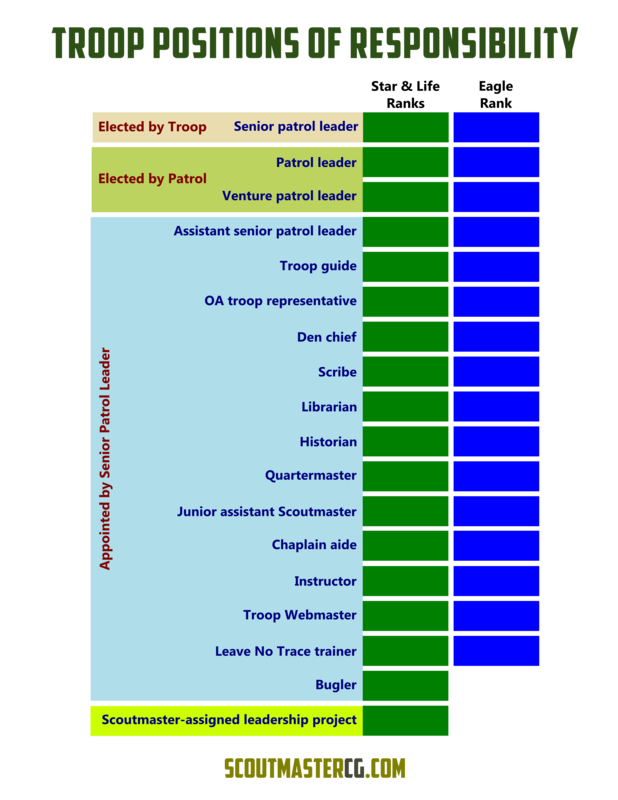 A Scoutmaster-assigned leadership project can take many forms, and be designed to correspond with the Scout’s interests and abilities. As the Guide to Advancement suggests, a Scout can propose a leadership project that he finds particularly interesting. Perhaps a Scout who especially enjoys first aid could create some resources for his fellow Scouts, engage expert instructors, and advise the quartermaster on assembling a troop first aid kit. 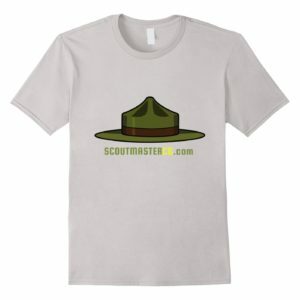 A set of responsibilities that correspond to the lessons of the listed positions could be created by the Scout himself, in collaboration with the Scoutmaster, or another Scouter. Those responsibilities are approved in advance by the troop advancement committee, the Scout’s progress is monitored, and evaluated for fulfillment of the rank requirement. With any position of responsibility, appointed, or assigned, it’s incumbent on the Scoutmaster to stay actively engaged with Scouts in positions of responsibility, make the expectations clear, and coach the Scout to their successful fulfillment. This way no Scout can complete his tenure in a position of responsibility only to learn he hasn’t performed according to expectations. Each step along the way his performance should be discussed, monitored and changes made when the circumstances demand. Section 3(b) of that same Article provides some additional information on electing the Senior Patrol Leader. over the patrol leaders’ council. When was the Scoutmaster Handbook issued, my copy says 1998, is there a newer edition? Te referenced Rules & Regs holds a 2014 date. This will be interesting (what the SM Handbk & BSA Rules & Reg. say) since we may have to wait and see what the new “Scoutmaster Guidebook” will say when it is ever released (was due to be published in Dec. 2014… still waiting). This will be interesting (what the SM Handbk & BSA Rules & Reg. 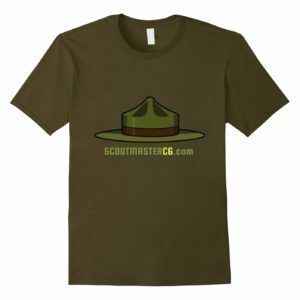 say) since we may have to wait and see what the new “Scoutmaster Guidebook” will say when it is ever released (was due to be published in Dec. 2014… still waiting).